As the popularity of e-cigarettes soars, both federal and state health officials continue to question their safety. In California on Wednesday, state health officials declared electronic cigarettes a health threat that should be strictly regulated like tobacco products, joining other states and health advocates across the U.S. in pushing back against the fast-growing device. The California Department of Public Health report says e-cigarettes emit cancer-causing chemicals and get users hooked on nicotine, although there is still more research to be done on the immediate and long-term health effects. A study published last week found e-cigarette smokers are five to 15 times more likely to get formaldehyde-related cancers. Though last year the FDA drafted recommendations to regulate marketing and sales of electronic cigarettes, no laws have been passed. New generations of young people will become nicotine addicts if the products remain largely unregulated, California Health Officer Ron Chapman said. On Tuesday, U.S. Surgeon General Dr. Vivek Murthy echoed the sentiments of many health experts when he said lawmakers are "in desperate need of clarity" on electronic cigarettes to help guide public health policies. "Without action, it is likely that California's more than two decades of progress to prevent and reduce traditional tobacco use will erode as e-cigarettes re-normalize smoking behavior," the report says. E-cigarettes heat liquid nicotine from cartridges into an inhalable vapor without tar and other chemicals found in traditional cigarettes. 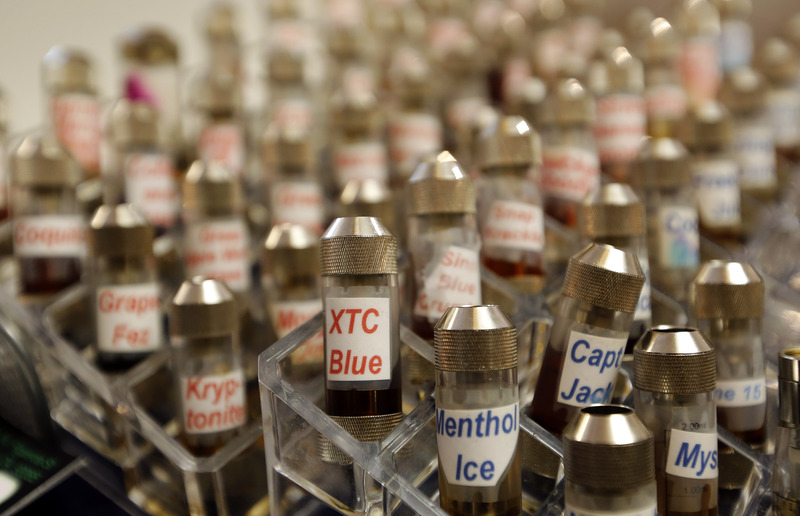 E-cigarette makers say using their products, known as "vaping," is far safer than tobacco. "Despite the health officer's false claims, there is ample evidence that vaping helps smokers quit and is far less hazardous than smoking," Gregory Conley, president of the e-cigarette advocacy group American Vaping Association, said in an email. "Smokers deserve truthful and accurate information about the relative risks of different nicotine products, not hype and conjecture based on cherry-picked reports." The California report called for restrictions on the marketing and sale of e-cigarettes, protections against accidental ingestion of liquid nicotine and an education campaign on the dangers of using e-cigarettes. California already banned the sale of e-cigarettes to minors in 2010. A state senator introduced legislation this week that would regulate e-cigarettes as tobacco products and ban their use in public places such as hospitals, bars and schools. A similar bill was defeated last year over opposition from tobacco companies. Other states including Oklahoma, Tennessee and Arkansas already have issued advisories cautioning the use of e-cigarettes.